Easter special: Spend £40 or more and get a FREE box of chocolates added to your order! Our unisex baby gift bundles are modern and stylish for any newborn and also a great option if you don’t know the gender you’re buying for! 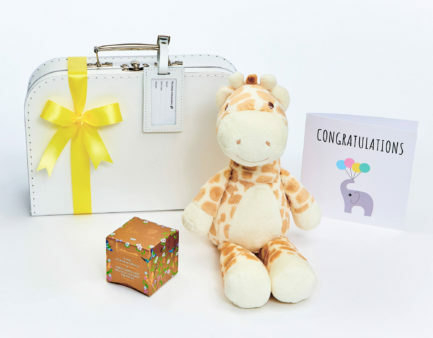 The unisex baby gift bundle steers away from pink and blue – to offer a lovely selection of bright baby gifts and elegant black and white baby gifts. 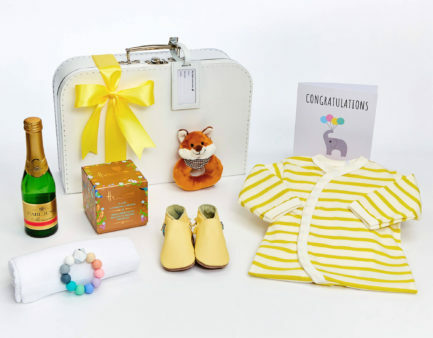 With a modern approach, our unisex baby bundles are presented in delightful gift boxes or elegant keepsake suitcases – perfect for parents to store precious baby mementos for years to come. 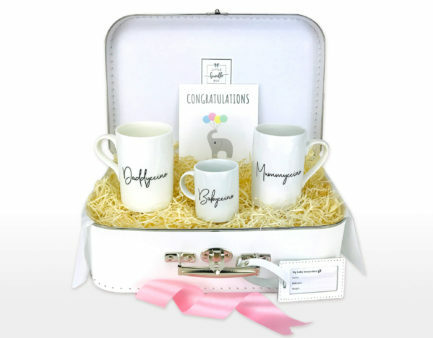 Many of our unisex gift bundles offer the option of personalisation. And don’t forget the free personalised card included with every bundle. Free shipping on orders over £40 too. Your search for a unique unisex baby gift ends here.